The Mastercraftsman mare performed with distinction last season where she finished third in the Gr.1 New Zealand Derby (2400m) before proving highly competitive in two runs in Sydney during the autumn. Unsighted since finishing sixth in the Gr.1 ATC Oaks (2400m) Danzdanzdance stepped out over 7 f on Saturday where she led throughout to down Contessa Vanessa in a thrilling finish to the rating 82 contest. Co-trainer Chris Gibbs, who is currently enjoying a brief holiday in the South Island, was delighted by the performance as he considers tackling elite company with his charge at her next start. “That was really pleasing to see as it was a tough field for her first-up,” he said. “Contessa Vanessa is a pretty classy customer who has already had a run this time in so to hold her out in a tight finish was a top effort. “She is a lightly-framed mare who doesn’t carry any extra condition and she was pretty ready to go first-up. “We know her best runs are generally the second or third in a prep so if she can sneak into the Livamol Classic field at Hastings then I’m keen to take her there without another run. “She doesn’t cope with wet tracks which means there is no point trying to get another run into her before the Livamol. Training partner Michelle Bradley, who was on deck at Ruakaka with the large team the pair had in on their home turf, was thrilled with the way the mare had come through the race. “She pulled up really well and was in good spirits this morning,” she said. “She had a tough run but she seems to have bounced through it nicely. 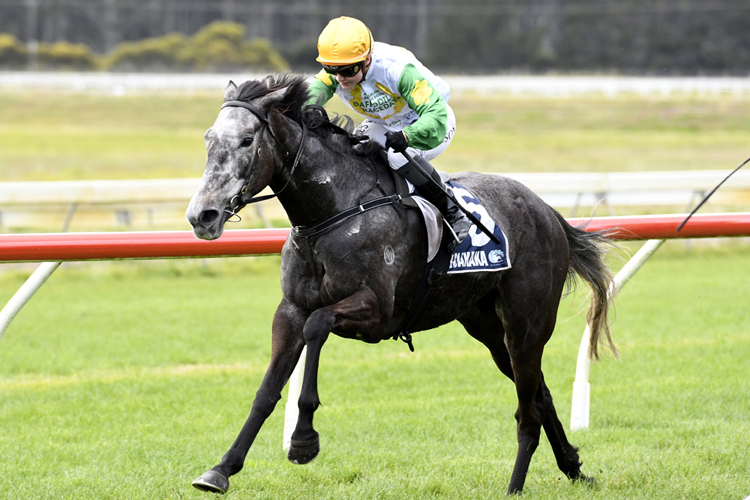 Danzdanzdance currently lies 19th equal with stablemate Hello It’s Me on the order of entry for the Gr.1 Livamol Classic (2040m) that will be run at Hastings on 6 October.